A bit of Rotherham is set to take to the skies over the USA today, Tuesday December 15, in the shape of the Boeing 787 Dreamliner, when the new generation of aircraft makes its first flight. The new jet, the first to be made with a majority of composite materials, is set to take off about 10am (around 3pm UK time) from Everett’s Paine Field. It’s expected to fly for about five hours before landing at Boeing Field in Seattle. There are some 840 Dreamliners on order, with the first scheduled for delivery late next year. 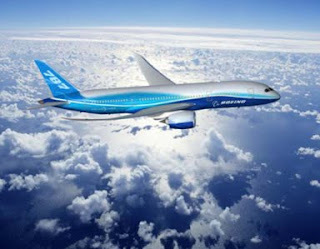 What most people in the UK don’t know about the 787 is that a quarter of the value of the aircraft comes from the UK. And, regionally, many also don’t realise is that a very important part of that value comes from South Yorkshire. When bidding for the landing gear was opened, manufacturer Messier-Dowty came to the University of Sheffield Advanced Manufacturing Research Centre with Boeing, at the Advanced Manufacturing Park in Rotherham, to see if it was feasible to make landing gear parts from a new grade of titanium alloy. Previously, landing gear had been made from steel, so as you can imagine, going from steel to titanium is a big step, but going from steel to an unknown grade of titanium (in this case Titanium 5553, a high-strength, low-weight material that can be made very hard) is a giant leap. Getting this safety-critical part right is especially important because (on good flights) you only use it twice, but you want it to be as strong as possible, and airline companies want it to be not only strong but as light as possible to reduce the amount of fuel consumption and environmental impact. Using a combination of manufacturing techniques, the AMRC satisfied both these needs and substantially reduced the development time for working Ti5553. Critically, this enabled the manufacturing times to be reduced along with the cost and enabled Messier-Dowty to win the order. This is the first time it has been won by a company outside the USA. So, the first time that South Yorkshire holiday makers land while onboard a 787 they should take heart and pride in the fact that one of the most important parts of their flight, the landing gear, was developed on the Rotherham-Sheffield border.